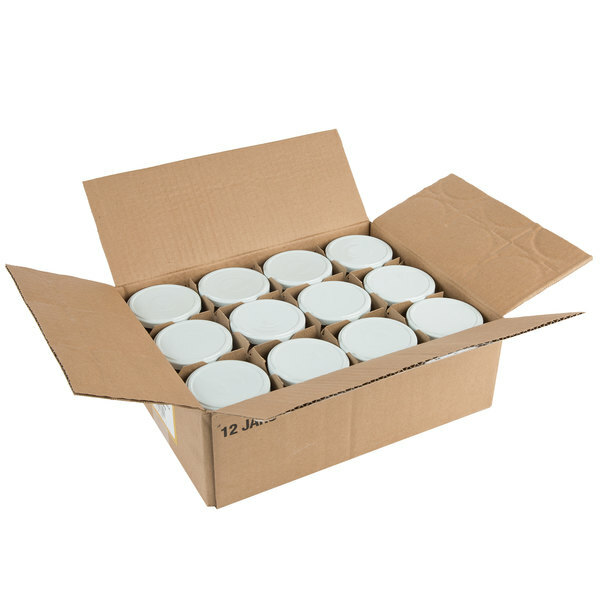 Keep your restaurant stocked with this Kime's 17 oz. 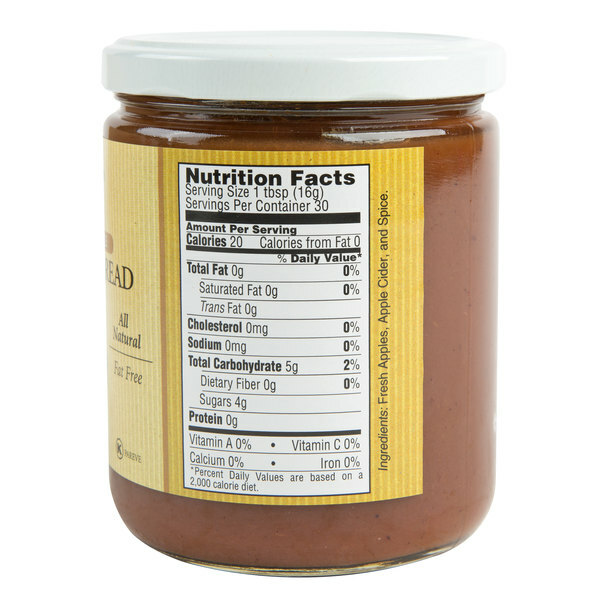 no sugar added cinnamon apple butter spread. 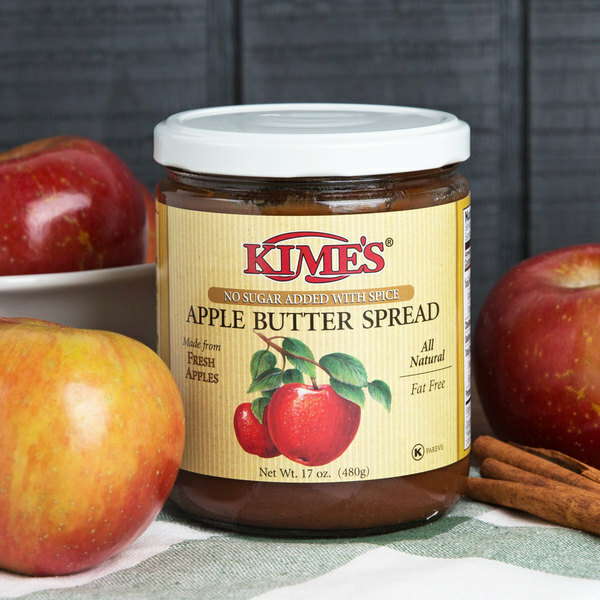 Natural and flavorful, this apple butter is just right for appetizing offerings at your diner, cafeteria, or restaurant. It is made from fresh apples and apple cider, and is cooked long and slow so that the sugar in the apples naturally caramelizes. 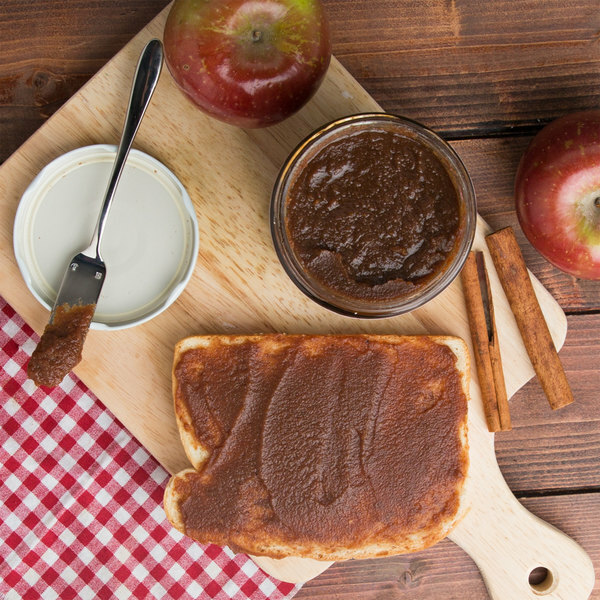 With no sugar added, this apple butter is a great healthy snack and the addition of cinnamon adds the perfect amount of savory flavor! 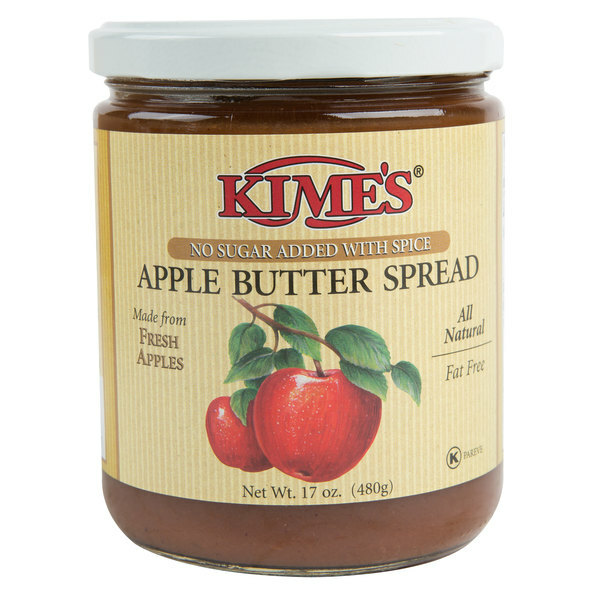 We use this apple butter in our non traditional cinnamon rolls. It works really great and our customers love it. It taste like a spiced apple sauce.